Optimum-Canada provides a coating service that creates a harder surface to increase the durability and extend the lifespan of your cutting tools. With more than 20 types of coatings, we offer an array of solutions for a variety of tools based on your specific needs and requirements. 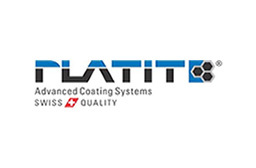 The right coating must be chosen based on the type of material of your tools. Optimum-Canada manufactures and sharpens cutting tools with the precision worthy of the trust of the aviation industry. 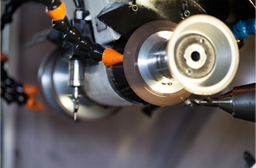 Using highly-specialized machinery including 10 Walter Helitronic 5-Axis tool grinders and 3D programming, our manufactured and sharpened cutting tools are sure to impress. You can benefit from substantial savings by resharpening your cutting tools and giving them multiple lives. Optimum-Canada offers a 24-hour service if needed and we are available to serve you 24/7.Our CNC generated customized tools, production drills, manufactured broaches and sharpened tools combined with our team of courteous and experienced professionals guarantee our performance and your satisfaction. 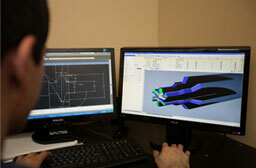 Optimum-Canada offers a specialized tool conception service based on the individual needs of our customers.We provide our customers with a personalized turnkey solution that exceeds all expectations.Simply send us your product specifications and we will design the exact tool needed for your machinery. If necessary, our professionals are available to visit your facility to assist you in identifying your operating needs. We will make sound recommendations and provide you with the solutions required to ensure the efficient operation of your equipment. After our visit, we will design and quickly deliver the necessary tools based on your needs, specifications and requirements. Our team will create a prototype using 2D or 3D tool drawing software and perform a technical trial if necessary.Knowing that your tools and equipment have a direct impact on your manufacturing costs, we offer the possibility of combining multiple cutting tools into one.